How many ways can you plant out a lawn with a basic round fountain in the center? 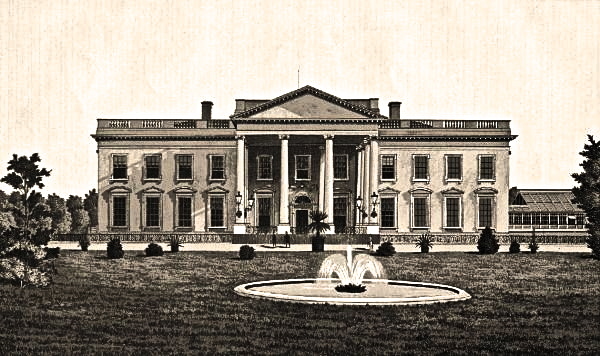 From 1871 to the early-1900s, the White House tried out a number of designs on its north side. This photo was taken during the 1860s. The statue of Thomas Jefferson had been there since 1848. Photo by National Photo Company, via the Library of Congress. 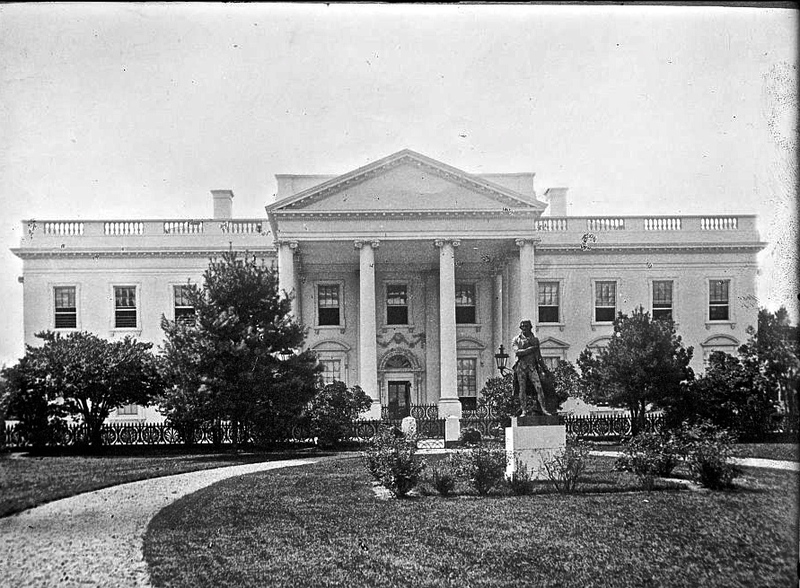 In 1871, the statue was replaced by a round fountain (the statue went to the Capitol Building). Things were pretty simple in this 1881 etching, via the blog American Garden History. 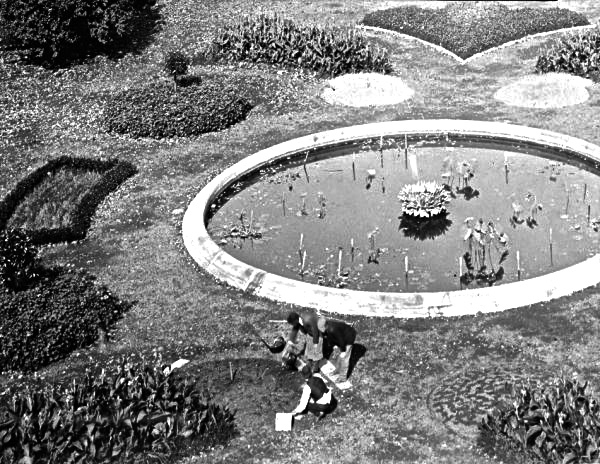 By 1885, the fountain was surrounded by flower beds in teardrops and circles. 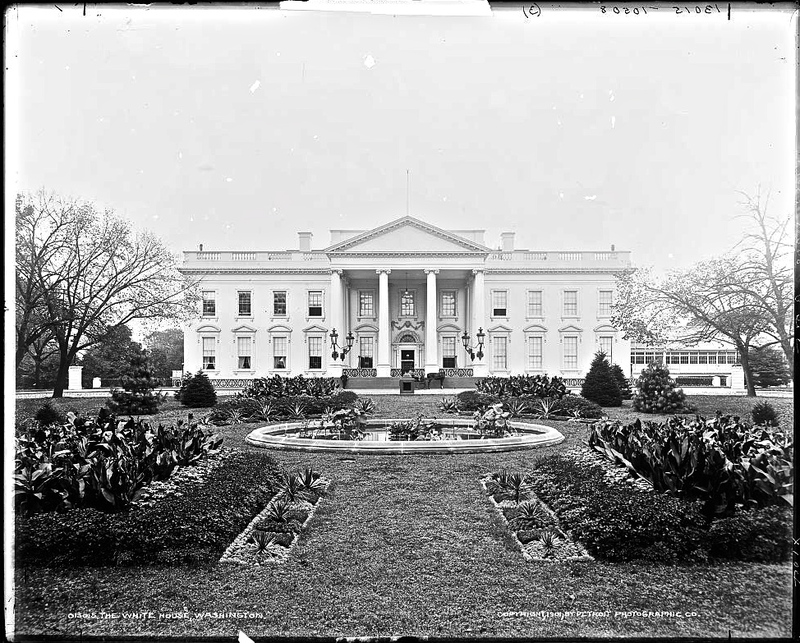 Photo by Underwood & Underwood, via the website The White House Museum. The design was more elaborate by 1894. Photo by B.L. Singley, via American Garden History. There was a more squared-off arrangement in 1901. Photo by Detroit Publishing Co., via Library of Congress. 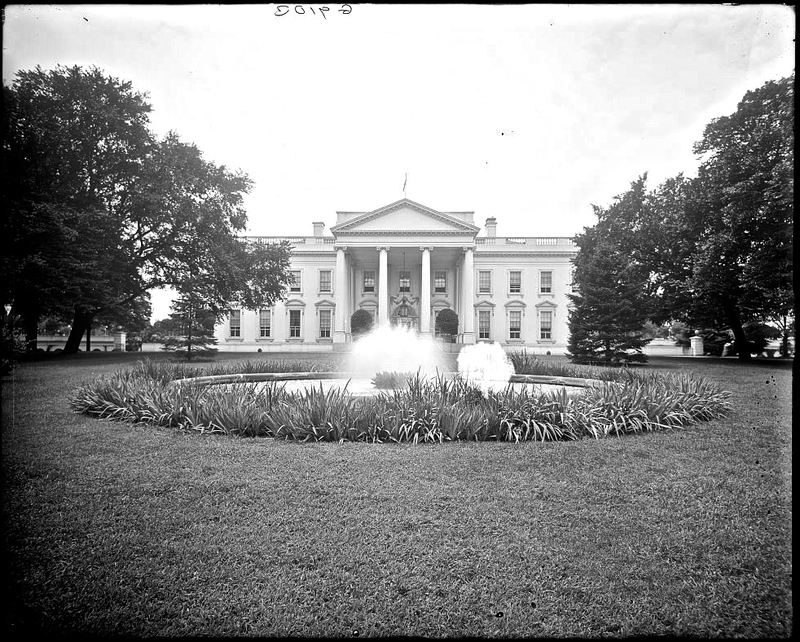 Above, gardeners were planting out the fountain area in 1902, via The White House Museum. 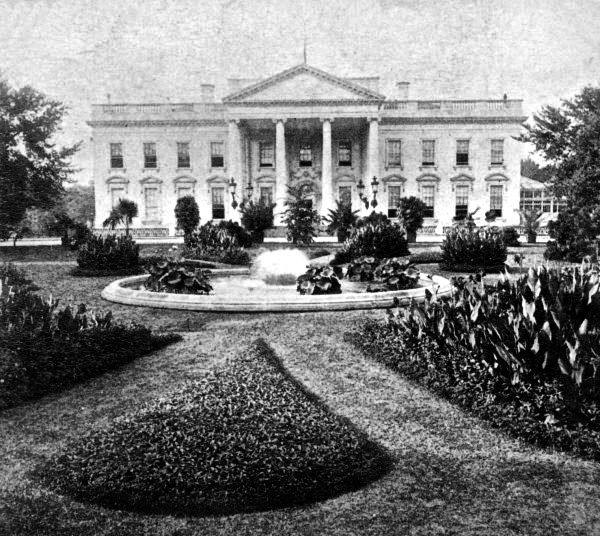 By 1905, the whole Victorian mess had been cleared out for simple plantings of bulbs and peonies. Photo by Detroit Publishing Co., via Library of Congress. 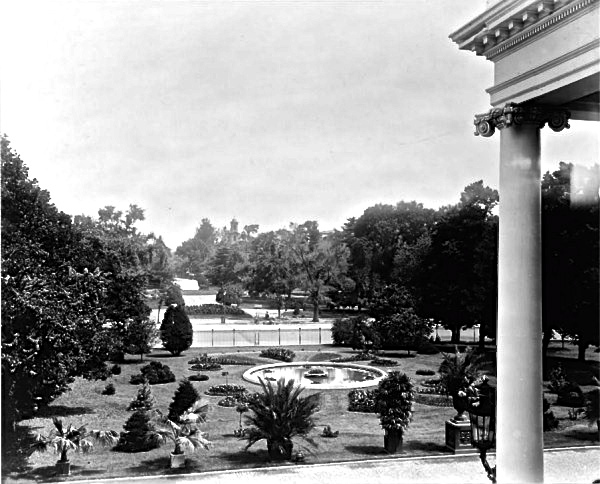 Above, sometime later, before 1920, the peonies were gone. I like all the irises around the fountain. Photo by Detroit Publishing Co., via Library of Congress. 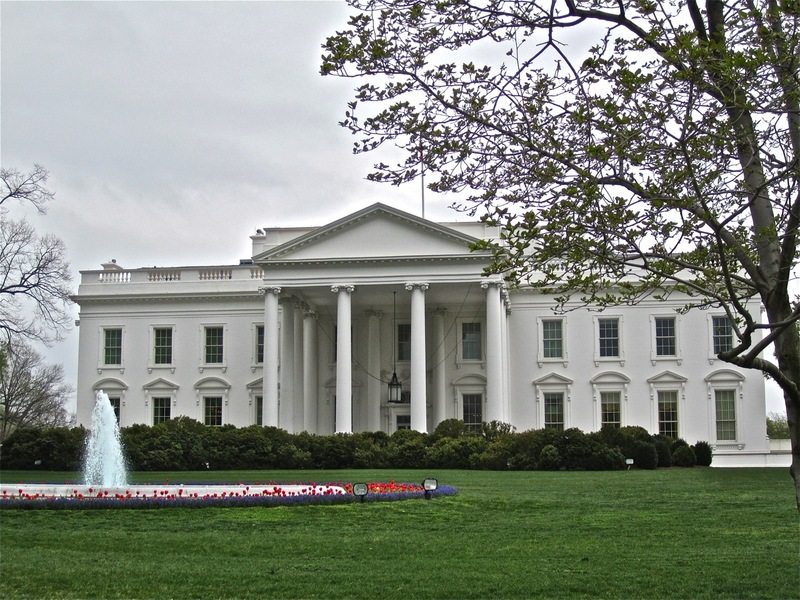 Above is my photo of the north lawn in March 2012. ADDENDUM: I found one more photo. This would have been the view from the W.H. Dining Room during the years of Victorian bedding out. Taken ca. 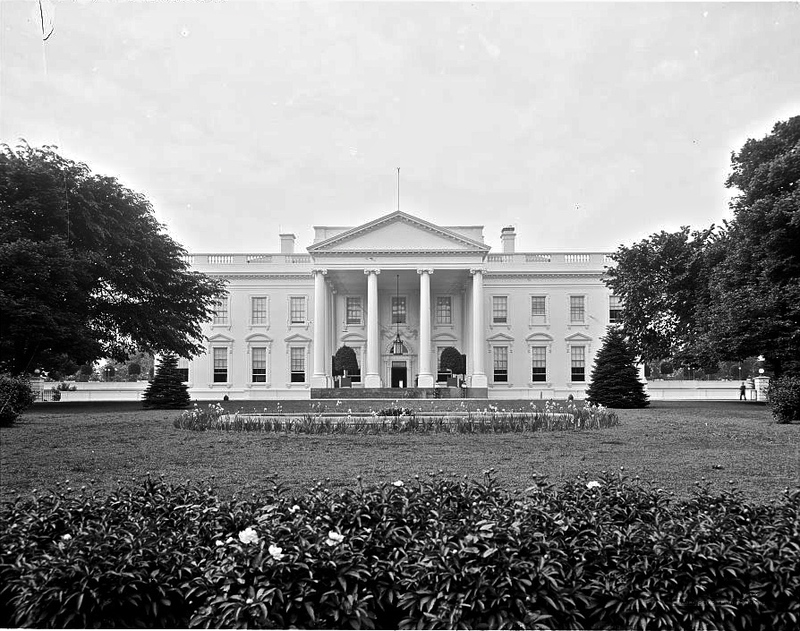 1889 -1906 by Frances Benjamin Johnson, via Library of Congress. I think it was Bush announcing a war while standing in the White House garden. Pitiful iron furniture in the background, worse landscape design. Was disgusted with the entire scenario. Fascinating!! Great post showing how gardens do speak of their times…..something that those of us who have been around for a while understand by living through trend after trend. Fascinating! I almost like the first picture the best, with the statue of Jefferson. I am a big fan of TJ, but I also like the big trees around the house. The most recent design is a snooze fest. Dear Tara, Carolyn, and Mary: Thanks for the comments! When I walked by the W.H. in March, there were a few gorgeous old trees, but overall the landscaping is dull. Perhaps it speaks to the base. . . . It must be a challenge, however, to design for grounds that periodically need grandstands and helicopters landing on them. 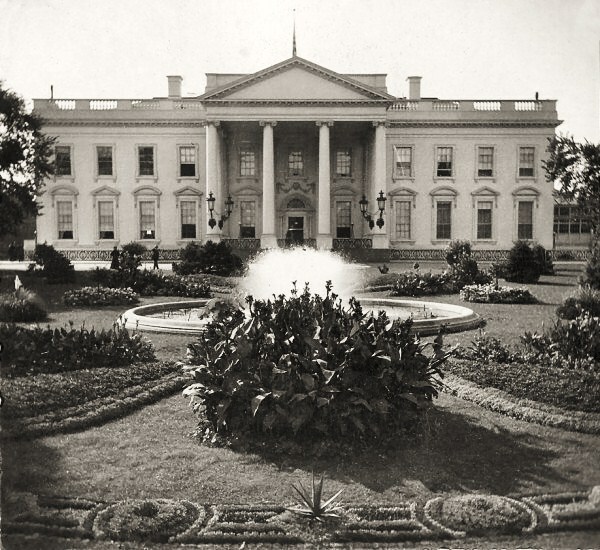 It would be lovely if Mrs. Obama took her gardening efforts to the next level and renovated the grounds as Jackie Kennedy renovated the interior of the house. I have been thinking about some of Thomas Rainer’s recent posts about the ambitious London Olympic gardens and also about using native American plants to make beautiful perennial borders. I have to say, however, that what really burned my toast was how truly awful the Ellipse in front of the W.H. looks. The grass is a mess; there are all sorts of big equipment seemingly permanently parked there; and there’s a big slash of asphalt down the middle. Added to the security barriers that still look ad hoc and temporary when we know they’re not going away, the whole area is really embarrassing. If we need security or large, open, hard-wearing spaces for public gatherings, surely we can design for them properly.